While our box may not be as fancy as the other guy's, it's actually what's inside that counts. 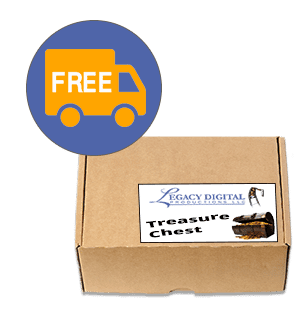 Instead of crummy colors, poorly time encoded and blown out imagery, your Legacy Digital Treasure Chest of memories will be filled with ONLY the highest quality converted film available for at this price point. 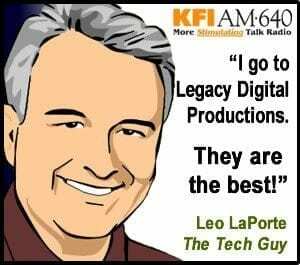 As a matter of fact, when you choose Legacy Digital, you get more, better, and for less! And we've been doing this way it since 2001. Don't you want for yourself or your loved ones to be able to share the best quality imagery possible? 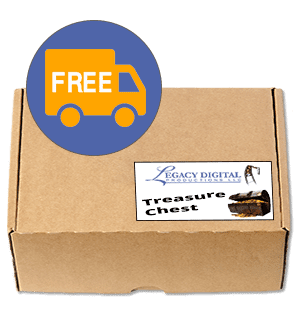 Select the Treasure Chest that best matches the volume of film, video tapes, slides or photos which need to be digitally converted, let us know where to send it, and we will do the rest. 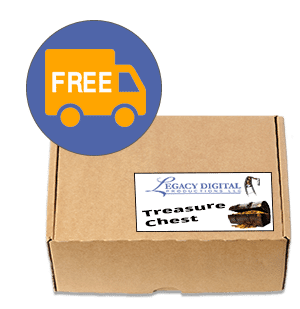 Upon receiving the precious memories, we'll carefully and professionally convert them to highest quality digital media using the latest transfer and scanning techniques - which far exceed the levels of conversion offered by most others. Once we are finished with the high-quality digital conversion, we will return their original media along with a digital version as well. If you choose, we can also send additional copies for safe keeping and sharing. 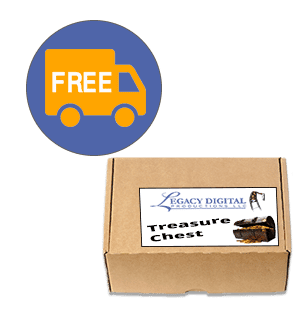 So go ahead and give one of the most special gifts you could possibly give - the chance at reliving and sharing cherished memories with others. * Film reels for packages are quoted for 3" 50 ft. film reels only or equivalent amount of footage on larger reels. 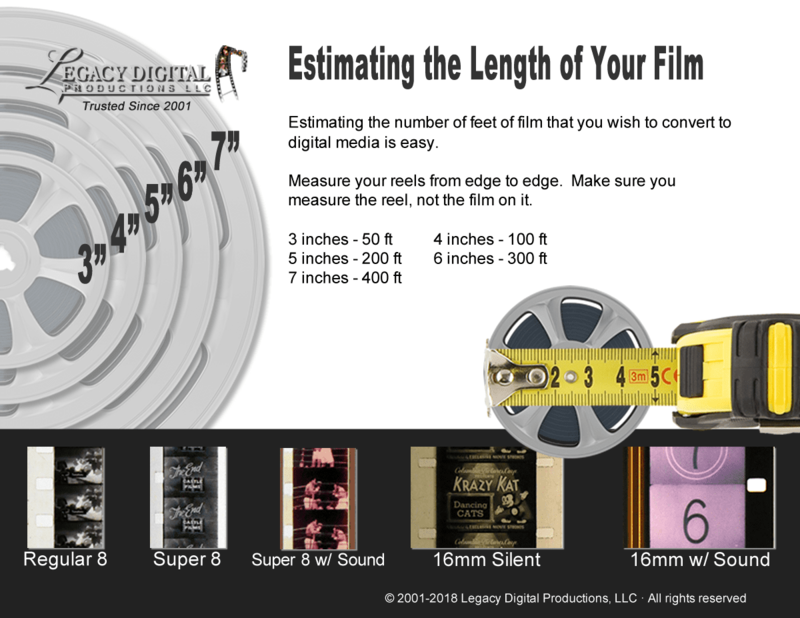 In the event a larger reels are sent, actual footage will be measured and used. Additional costs when overage amounts are sent may apply. Mix and match allows recipient to substitute any set of product types 1 for 1. Photos are wallet size up to 8x12 and must be loose, not in albums or frames. Slides are 35mm only or smaller, otherwise some cropping may occur. Please call with any questions prior to placing an order.